Learn rhythm while having fun in this early exploration of the world of tap! Tap dancers use their feet like drums to create rhythmic patterns with an assortment of beats. Each class will help students focus on music awareness while learning tap steps and simple combinations. Some basic tap steps include the brush, flap, shuffle, and ball change. Tap dance enhances aerobic fitness, muscle control, and cognitive abilities. 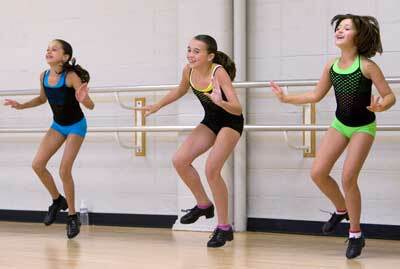 Tap dancing is a great way for kids to get active and express themselves creatively.